Netflix original sci-fi-series-turned-pop-culture-phenom Stranger Things has an official aftershow. Appropriately titled Beyond Stranger Things the show after the show also airs on the streaming service, giving captivated fans an easy-access forum to discuss the supernatural forces at play in Hawkins. “Hosted by writer, producer, actor and superfan Jim Rash, Beyond Stranger Things tackles inspiration for the series, behind-the-scenes stories, and analyzes every aspect of the second season – answering all the burning questions,” says Netflix. Indeed, secrets from the Stranger Things 2 universe are revealed as cast and guests discuss the latest episodes. With special guest stars tagging along to analyze and answer the mysterious questions born from the show’s second season. 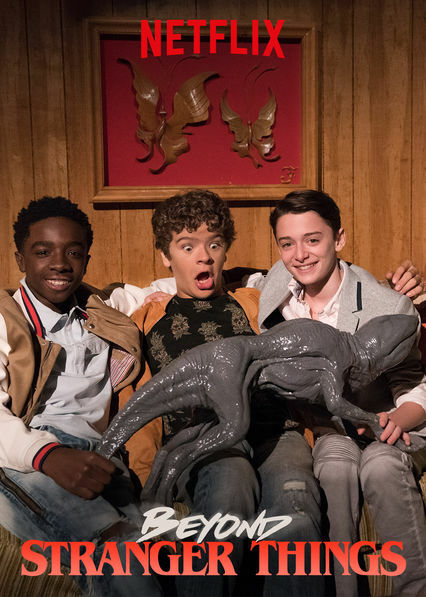 The series features Stranger Things creators Matt and Ross Duffer, executive producer Shawn Levy, and a slew of cast members including Gaten Matarazzo, Caleb McLaughlin, Finn Wolfhard, Noah Schnapp and Millie Bobby Brown. As well as Sean Astin, Linnea Berthelsen, Natalia Dyer, Brett Gelman, David Harbour, Randy Havens, Charlie Heaton, Joe Keery, Dacre Montgomery, Paul Reiser, and Sadie Sink. Whether you’ve binged watched all the new eps already or if you’re lucky enough to have a few episodes to go, you can add this to your queue for episode recaps and exclusive insights. Or simply to squeeze a little bit more out of the second installment of the beloved drama series.